The working conditions of teachers must improve if the government is to tackle the recruitment and retention crisis, the National Foundation for Education Research has warned. The organisation has published its first annual report on the teaching labour market in England, which rounds up official statistics and paints a worrying picture of the state of the profession at a time when ministers have made tackling the growing teacher shortage a priority. The NFER found one in five teachers feel tense about their job most or all of the time, while 40 per cent don’t feel they get enough leisure time. It also identified a dramatic increase in the number of in-year vacancies and temporarily-filled posts since 2011. Jack Worth, school workforce lead at the NFER and co-author of the report, warned there was a “clear need to improve the working conditions of teachers, with a focus on making the teaching career more manageable and sustainable”. “The proposed measures to address these issues in the government’s new teacher recruitment and retention strategy are welcome, but the teacher supply challenge will continue to grow, particularly in secondary schools, unless urgent action is taken,” he said. The report will make for uncomfortable reading for ministers at a time when they are just starting to get to grips with the teacher recruitment and retention crisis. However, the NFER welcomed plans set out last month in the government’s recruitment and retention strategy for an early career framework, which will see additional support and development opportunities handed to teachers in the first two years of their career. The organisation also welcomed the move to phase bursary payments in shortage subjects to aid retention. Mary Bousted, joint general secretary of the National Education Union, said the report served as a “sharp reminder that the situation needs to improve fast”. “The reasons that so many leave the profession so quickly are not a mystery to us. When faced with impossible workloads, endless accountability, a testing culture run riot, and flat or underfunded pay deals year after year, it is all too common for good teachers to leave the profession,” she said. Here are the report’s five key findings. One in five teachers (20 per cent) feel tense about their job all or most of the time, compared to 13 per cent of people in similar professions including researchers, engineers, health professionals and lawyers. Teachers also work longer hours in a typical working week than similar professionals. Although the hours worked by teachers over the whole year are on average similar to those in other professions, working intensively over fewer weeks of the year leads to a poorer work-life balance and higher stress levels, the NFER warned. 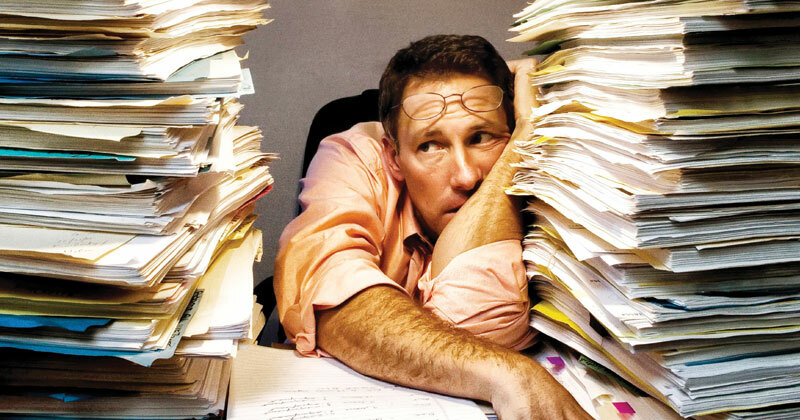 Two out of five teachers (41 per cent) are dissatisfied with the amount of leisure time they have, compared with 32 per cent of similar professionals, suggesting making workload more manageable would help improve retention. The report also noted that 23 per cent of full-time teachers would like to reduce their working hours, even if it means less pay, compared with 17 per cent of similar professionals. The Department for Education forecasts secondary schools will need 15,000 more teachers between 2018 and 2025 to meet a 15 per cent rise in pupil numbers, but the NFER report found the number of in-year vacancies and temporarily-filled posts has doubled in secondary schools between 2010-11 and 2017-18. Although teacher supply in primary schools has increased in recent years, the report warned that the primary leaving rate and number of vacancies have increased between 2011-2012 and 2017-18 “suggesting a risk of there being some supply challenges ahead”. 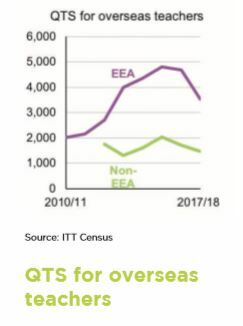 “This may be caused by the UK’s forthcoming departure from the European Union and may signify a downward trend in interest towards moving to the UK to teach,” the report said. The number of teachers returning to the state sector has remained flat, staying at around 13,000 to 15,000 per year between 2011-12 and 2017-18. The NFER report found the mean pay of teachers is lower in real terms than that of people in similar professions, but the median pay was similar between the two groups. This means that the pay of a typical teacher is similar to the pay of a typical professional, but the combination of pay compression in teaching and more opportunities to earn high wages in other professions means teachers earn less on average. The average pay of teachers has fallen by 12 per cent in real terms since 2010, although the report said this could partly be explained by the fact that the average teacher in 2018 is “younger and less experienced” than the average teacher in 2011. Teaching has traditionally been seen as one of the most secure careers, but the NFER report warned this could be changing. Although the proportion of teachers who report poor job security has remained low, at around five per cent, since 2010-11, the proportion of those in similar professions reporting low job security has fallen in this time from 14 per cent to nine per cent. “The job security of alternative careers is likely to influence those who are deciding whether or not to enter teaching,” the report noted.